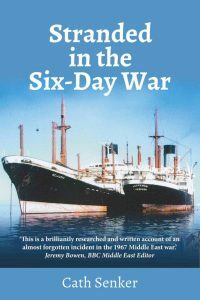 I’m delighted to announce that I have finally produced an eBook of ‘Stranded in the Six-Day War’, the tale of the 14 merchant ships marooned in the Suez Canal at the start of the 1967 Arab-Israeli War. I wanted to make my title available at low cost so that more people can find out about this slice of little-known history – and for those who simply don’t buy physical books any more. See links below. Creating an eBook has proved yet another self-publishing challenge and I’d like to thank freelance graphic designer Clare Disano for seeing me through the frustrating process, and Ken Jones from CircularFlo, for their assistance. It seems making an eBook is easy if you have a straightforward text-based novel. But if you’ve designed the book with images, it’s a different story. And to sell your book through Amazon, you have to deal with the font police (only a few acceptable fonts) and navigate through the maze of acceptable file formats. I’m pleased that the story of the stranded ships is spreading. Swedish publisher Breakwater Publishing is producing a book with a section about the ‘Yellow Fleet’. 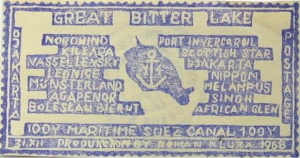 Karl Franzmann is researching the stamps created by the Polish seafarers. Plans are also afoot for a documentary for Al Jazeera about the Suez ships. 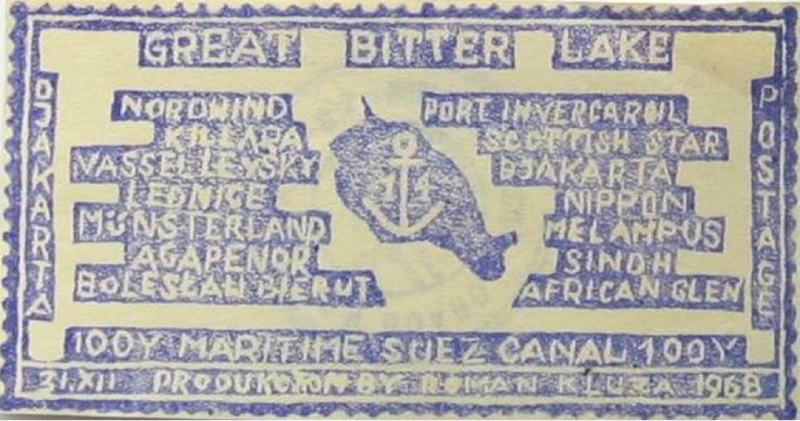 Egyptian production company iCatch Productions are currently waiting for visas so a team can come to the UK to interview former seafarers who served in the Great Bitter Lake. Here’s the link to the Kindle version of Stranded in the Six-Day War. If you’d be happy to write a review, let me know and I’ll send you a complimentary copy. If you would like the paperback version, I have plenty of copies left! If you know me, and you’d like one at the ‘mate’s rate’ of £10 including P&P (within the UK), just get in touch.